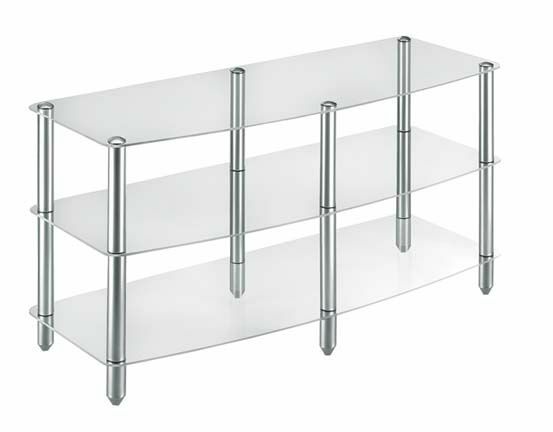 More on the Vantage Point 3-Shelf Clear Glass TV Stand VPVGG309-S below. 3 clear tempered glass shelves. An open shelf design for easy cable access and passive airflow to heat-generating electronics. Included carpet/isolation spikes for added stability. Range of Screens Supported: 33 to 38 in., 39 to 42 in., 43 to 50 in.